In Cornwall you’re never further than thirty miles from the sea, so it’s easy to see why so many people are drawn to take the plunge and jump in. Spending time in and beside the sea can be a huge source of fun in any weather and has proven health benefits too. And whether you’re surfing, swimming or kayaking, you’ll get a completely different perspective of the Cornish coastline. Visitors to Cornwall can enjoy the surf all year round and the sea stays warm well into September. 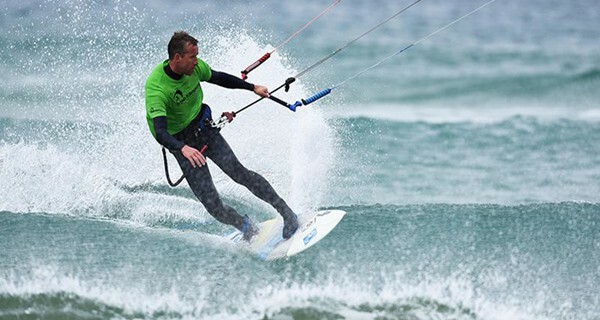 If you would like to try a new watersport or simply want an exciting thing to do on holiday, Cornwall has some great activity centres providing ocean-going adventures. Sailing from St. Anthony Head to Falmouth, photo by Adam Gibbard courtesy of Visit Cornwall. With sailing or windsurfing tasters each lasting 90 minutes, Polkerris Beach offers the perfect opportunity to try out something new. Then, if you want to take your new skills a bit further, there are also two-day-long windsurfing courses. Lessons are tailored to your ability, experience, group size. Polkerris Beach is a ten minute drive from Fowey. Coasteering, photo by Dune Dreams Photography, courtesy of Visit Cornwall. 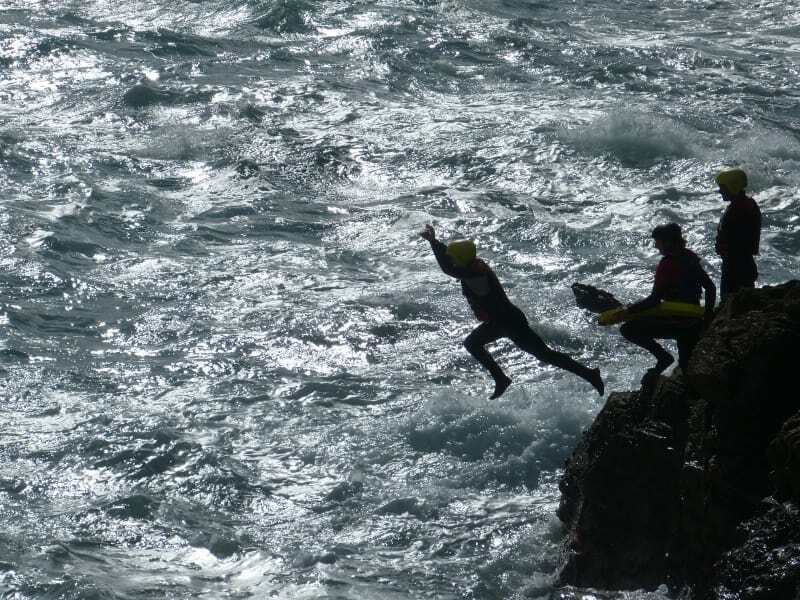 Offering coasteering (jumping off rocks and cliffs into the sea), kayaking and stand up paddleboarding (SUPing) excursions around Fowey, with Vertical Descents, you’ll be clad in wetsuits and safety equipment and then whisked off in the ‘mobile adventure bus’ to a location to suit the experience you’d like. SUPing or kayaking down the Fowey estuary and along the coast is a great way to explore, and coasteering gives a different perspective on Fowey’s coastline as you scramble around the shore at sea level. Further up the coast Gorran Haven and Pentewan offer a more challenging experience, with jumps, slides, caves, adventure swimming and some great climbs. Vertical Descents also offer ‘Eco Coasteering’, where you can get up close and personal with the wild flora and fauna, and because Fowey is so sheltered from the fierce Atlantic swells, some fantastic marine life inhabits the coastline. Located in Fowey, the meeting point is a short walk from the hotel. 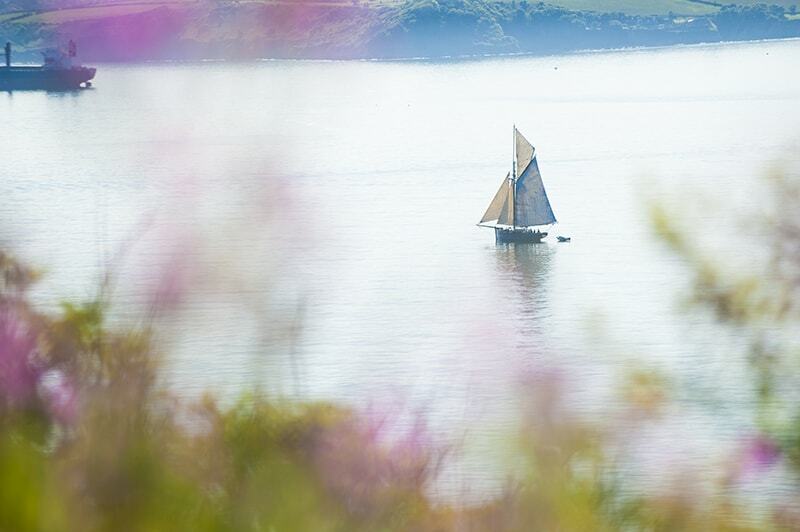 Situated between Falmouth and Truro, Loe Watersports is located in a beautifully tranquil bay. They have a range of watercraft to rent and enjoy, including kayaks, paddle boards, motorboats, dinghies and rowing boats, with lessons available too. Considering its sheltered location it’s the perfect place to learn as with minimal waves there is maximum stability for you to practice your newly-learnt techniques. Loe Beach, in Feock, is around an hour’s drive from Fowey. Loe Beach is a 10 minute from the King Harry Ferry crossing point, connecting Feock to the Roseland Peninsula. The Roseland is home to our sister hotel The Rosevine, around a 35 minute drive from where the ferry docks. Surfboards at Watergate Bay. Image by Adam Gibbard, courtesy of Visit Cornwall. Offering high speed or gentle boat trips in a 28ft RIB ranging from 15 minute taxi trips to full day charters, you can see the coast without getting as wet. Cornwall Watersports also offers the opportunity to waterski, wakeboard or mono-ski behind the high speed boat, providing an adrenaline-fuelled challenge. Kayaks, SUPs and windsurfing boards are also available. Cornwall Watersports centre is at Pentewan, a 25 minute drive away from Fowey. Located on the north Cornish coast, which is more exposed to the Atlantic swells than the south coast of Cornwall, the Newquay Activity Centre is open year-round, seven days a week. They offer coasteering, surfing and bodyboarding for all abilities. Located in Newquay, known as the surfing capital of the UK, the centre is within walking distance of some great surf spots giving a range of options for good learning conditions. Newquay is 45 minutes from Fowey. Legend of the Bay at Watergate Bay, photo by Bob Berry. 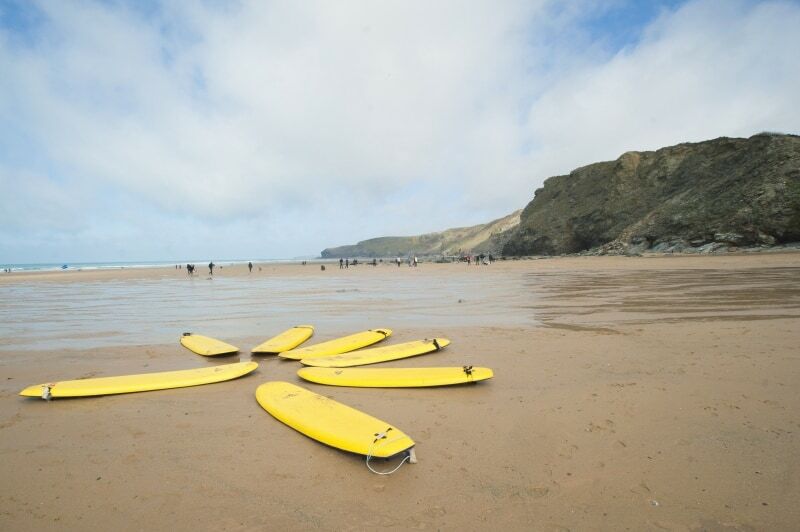 Located on the two mile-long beach at Watergate Bay near Newquay, the Extreme Academy offers group lessons for surfing, bodyboarding, kitesurfing, waveski, hand planing and stand-up paddle surfing. Watergate Bay is one of Cornwall’s most popular beaches for watersports, thanks to its exposed location there will either be great surfing waves or enough wind to fly a kite. 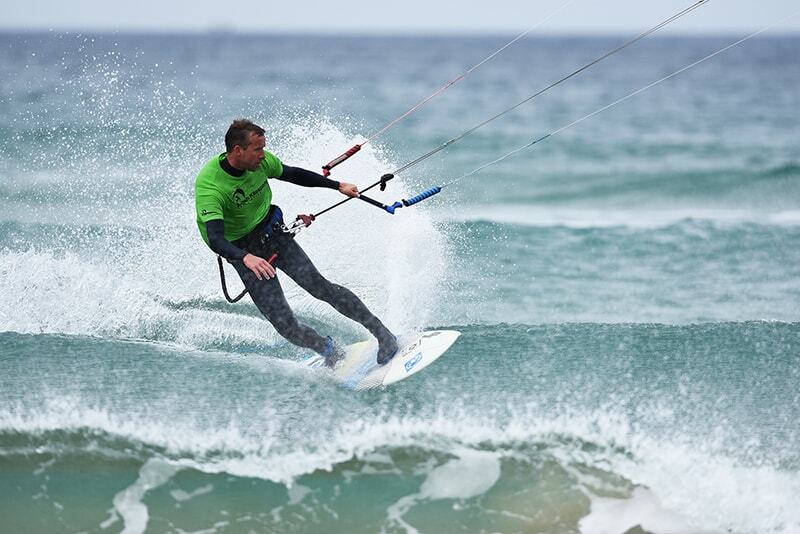 The beach also hosts a series of top watersports events throughout the year, such as surf competitions and surfboat racing which are highly entertaining spectacles to watch. Watergate Bay is a 40 minute drive from Fowey. If you are looking to discover more of the Cornish coast during your stay at The Old Quay House please ask our team at reception who can advise you on booking an excursion.